Steve Hedrick is President & CEO of MATRIC | Mid-Atlantic Technology, Research & Innovation Center (MATRIC) in South Charleston, W.Va. MATRIC delivers market-driven innovation, research, technical engineering, and technology commercialization for the chemical, energy, environmental, and advanced software sectors. Mr. Hedrick has more than 20 years of experience in the petrochemical industry, leading businesses, chemical manufacturing and health, safety, environment and quality (HSEQ). 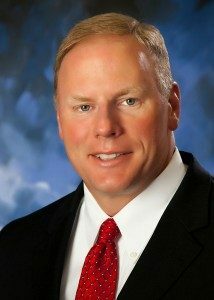 He has held numerous roles of increasing responsibility at Bayer CropScience, Bayer MaterialScience, Bayer Polymers and Lyondell and has led multiple regional and global teams to improve business results, reliability and safety systems. His entry into the chemical industry followed service as an officer in the United States Army. Mr. Hedrick currently serves on the several boards of directors, including the West Virginia Chamber of Commerce, Charleston Area Alliance, Advantage Valley, West Virginia Manufacturers Association, Thomas Health System and West Virginia Regional Technology Park Corporation. He is Chairman of the Charleston Regional Chamber of Commerce. A native of West Virginia, he holds a B.S. in chemical engineering from the United States Military Academy at West Point, N.Y.